I haven’t had a chance to photograph it yet, but recently construction fencing went up around the historic Lathrop House, on Hamilton Street near the corner of Hamilton and Marshall streets. The house sits on a block that is owned by the county — it’s part of the County Center complex — and the county is planning to clear off the block and build a five-story office building there. 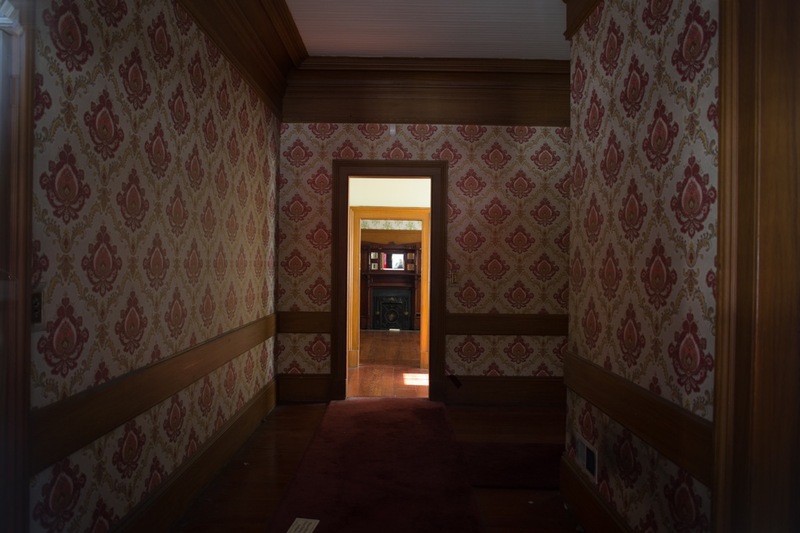 Whereas some of the buildings on that block are nothing worth preserving, the Lathrop House is definitely one that should be kept. 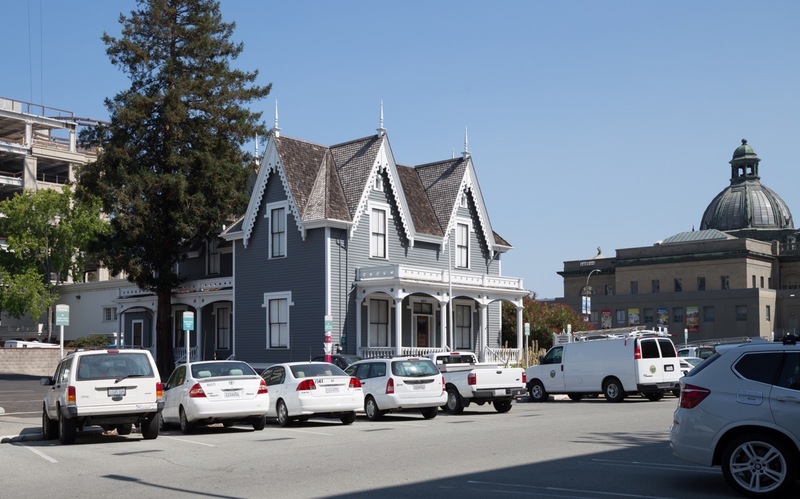 Thus, the first step in the process of creating this new “County Office Building #3” (also known as COB3) is to relocate the Lathrop House. It won’t be going far, fortunately: it will be moved just across Marshall Street to the parking lot behind the historic courthouse. The above picture, which shows both the Lathrop House and the backside of the historic Courthouse, illustrates just how short a distance the house will actually be moving. But moving a house is a major ordeal, whether it is moving a long way, or just a short distance. It has to be emptied out, disconnected from all utilities, lifted off its foundation, moved, and then settled onto a newly built foundation on its new site. I don’t expect that the actual move will occur for a couple of months, but keep an eye out for street closures and an announcement about the move: it should be fun to watch! Pamplemousse Patisserie & Café, which closed more than a year ago, has had its windows covered since then. 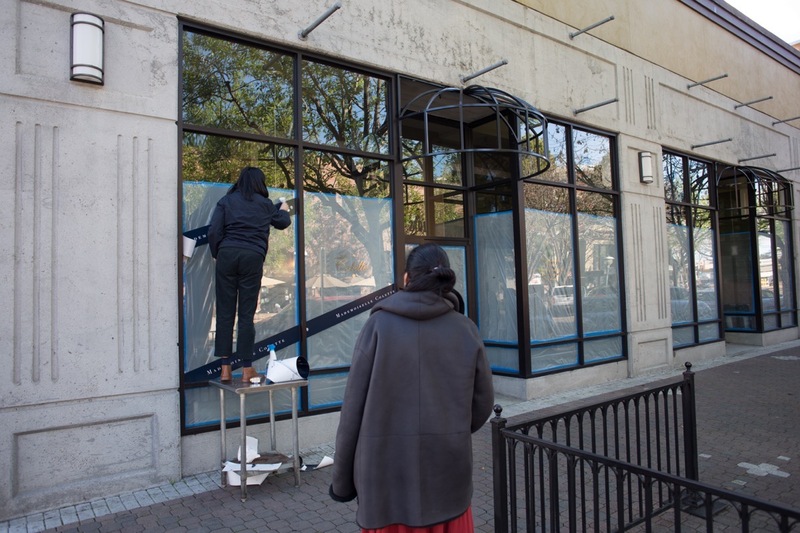 Those windows are still covered, but recently I went by just as signs were being adhered to the windows: Mademoiselle Colette, who has announced that they’ll be moving into the old Pamplemousse spot, is indeed moving in! They had previously hoped to be in by Valentine’s Day, but it seems that they’ll miss that goal by a couple of weeks. They’re now aiming for March, which isn’t too far away. Mademoiselle Colette already has stores in Palo Alto and Menlo Park; this will be their third location. From the pictures on their website, and from their menu (which is also on their website, of course), it looks wonderful. They should be a terrific addition to downtown Redwood City. I can’t wait! Various small businesses currently operate out of that building, including one that I’ve written about before: Studebakers West. Studebakers West has been in operation for over 40 years, and sells parts for Studebaker cars. Studebaker cars haven’t been made for years — since 1966, in fact — and these folks are one of the few sources of parts for those cars. 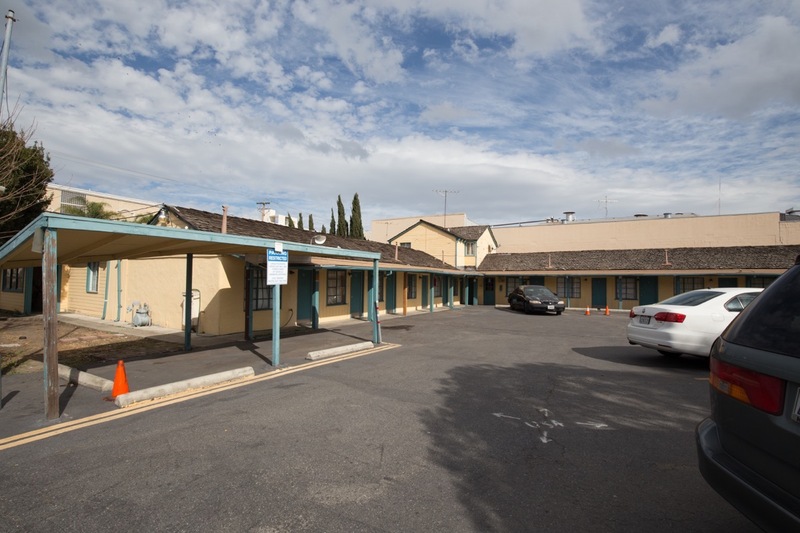 Almost two years ago I wrote an article about some hotel projects going on in Redwood City. 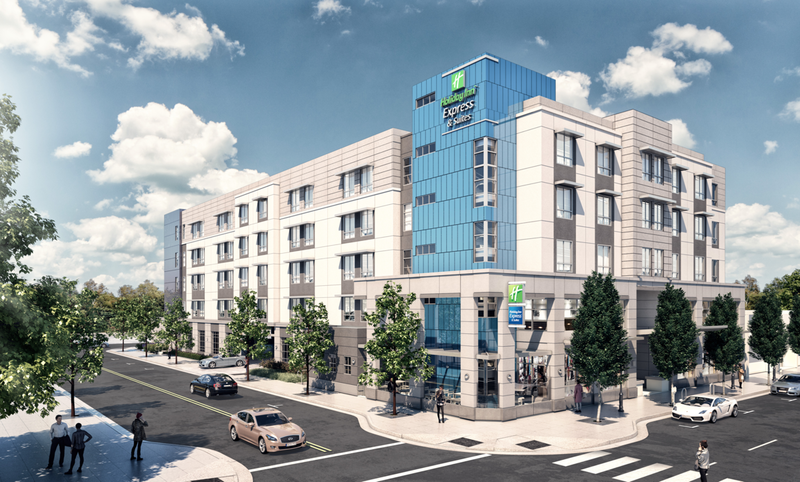 In it I mentioned that a 90-room Holiday Inn Express & Suites had been proposed for the site on Broadway that is currently home to the 18-room Garden Motel. The Garden Motel was built in 1939, has clearly seen better days. I’ve been keeping an eye on the site ever since the hotel project was approved by the Planning Commission, back in October of 2017. However, there have been no signs of construction. 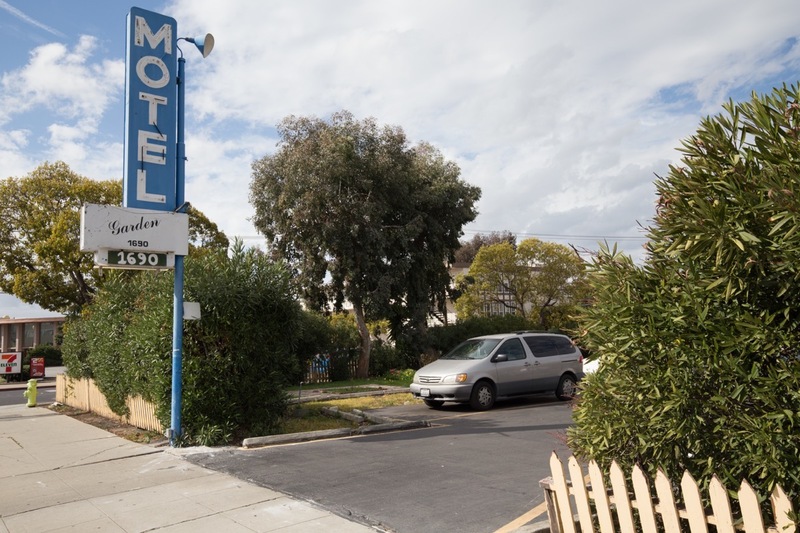 As it turns out, the owners of the Garden Motel, who are the ones behind the Holiday Inn proposal, realized that the underground garage was going to be both difficult and expensive to build. Thus, they reworked their plans so that a basement was not needed, and are going back through the approval process. The original design had 52 parking spaces in a basement level, and 28 at ground level. The hotel’s 90 rooms were to be on floors two through four: from the outside the building would have been four stories tall. The new design eliminates the basement level but doesn’t put cars on the second floor. Instead, it uses automobile stackers and a valet to squeeze 90 cars into the ground-level garage. Accompanying the extra ten cars are additional hotel rooms: the new design adds a fifth level to the building that allows the hotel to have 112 guest rooms. The new design is still fairly attractive, and is a much better use of the property than the Garden Motel currently is. 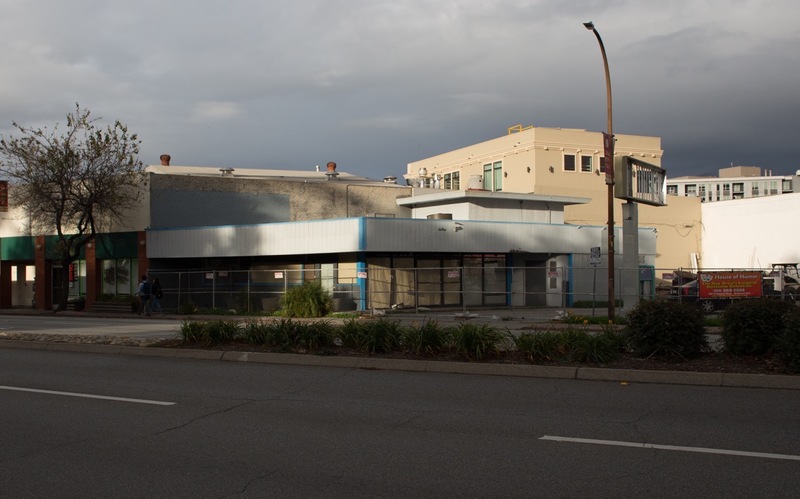 Although the new hotel would not be within Redwood City’s downtown, the property, which is at the corner of Beech Street and Broadway, is only about a three-block walk from the intersection of Broadway and Main Street. Thus, it is likely that some hotel guests would make the walk in order to enjoy our downtown’s many restaurants and entertainments. I’ll be interested to see how easily, or not, this project goes through the approval process. Finally, I wanted to highlight the fact that the draft Environmental Impact Report, or EIR, for the Harbor View project is available and open for public comment. I wrote about this project in one of my columns for the San Mateo Daily Journal, but for those of you who don’t read those, Harbor View is the high-tech office development being proposed by developer Jay Paul Co. for the essentially vacant land adjacent to Highway 101, on the bay side, between Woodside Road and the Maple Street Correctional Center. This 27-acre parcel was once home to Malibu Golf & Games, Malibu Grand Prix, Lyngso Garden Materials, two lumberyards, and a gas station, although those are all long gone. 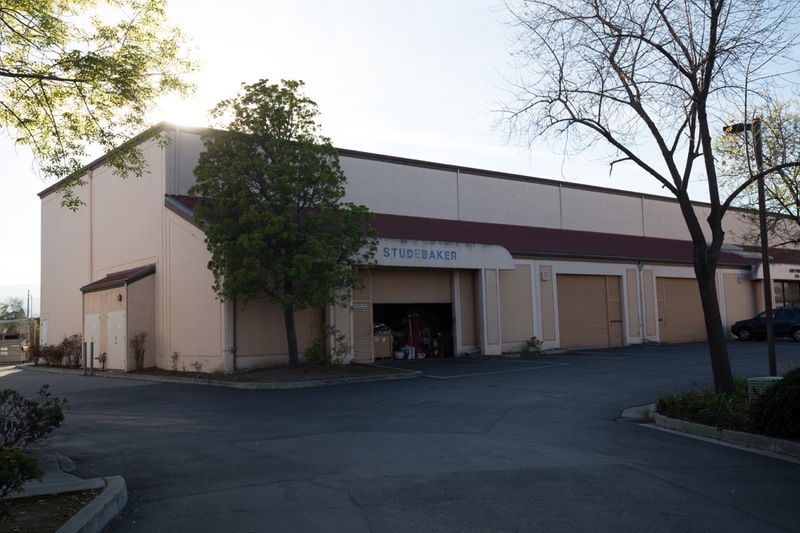 Jay Paul Co. has proposed a development that consists of four seven-story office buildings, an “amenities building,” and two parking garages. Altogether the five buildings would total roughly 1.2 million square feet. Between the garages and a small amount of surface parking, the project would provide spaces for more than 3,800 vehicles. The project has not yet been submitted for approval. First, the proposal has to be analyzed to see how it would impact the surrounding environment (thus, the EIR). The report has been done — all 523 pages of it — and is on the city’s website. The City Council will be holding a public hearing on the report at its February 11 meeting, and comments can be given in person at that meeting. For those who prefer to submit their comments in writing, they will be accepted any time up to 5 p.m. on Friday, March 8. Mail written comments to Steven Turner, Planning Manager, 1017 Middlefield Road, Redwood City 94063 or email them to sturner@redwoodcity.org. To probably no one’s surprise, the Harbor View development is projected to have major impacts to the area’s traffic: impacts that cannot be easily mitigated (if they can be mitigated at all). The only real hope to deal with some of the impacts is to rebuild the interchange where Highway 101 meets Woodside Road, and although there is a project in the planning stages to do just that, it has a number of hurdles to overcome and likely wouldn’t be built for years. For those who are interested in the Harbor View project, I highly recommend that you download the draft EIR and read through the sections that interest you. If you have comments, the city would very much like to hear from you! Just be sure to get them in by March 8 at 5 p.m. And note that at this time the city is only looking for comments on the EIR: the project itself will be considered at a later date, when we’ll have additional opportunities to comment on the project’s merits. Great updates. I was trying to figure out what is going on at 450 Maple near the edge of downtown, found some renderings on the listing packet. Small office space…I kinda of liked the original steel windows that building had…though I’m sure they were single pane. Any idea what the status is on CoffeeBar? It doesn’t appear they’ve pulled any permits based off the online eTRAKit website. Mademoiselle Colette is great btw, definitely a great add to downtown.